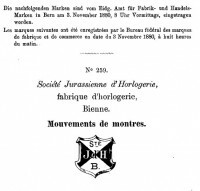 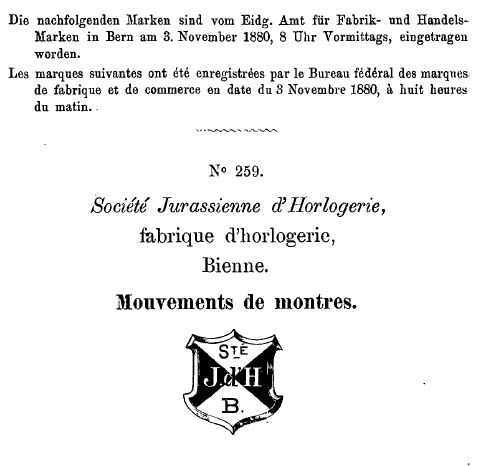 Jean-Adrien Philippe was granted the Brevet n°1317 in 1845 concerning a keyless winding mechanism, avoiding the need of easily lost keys. 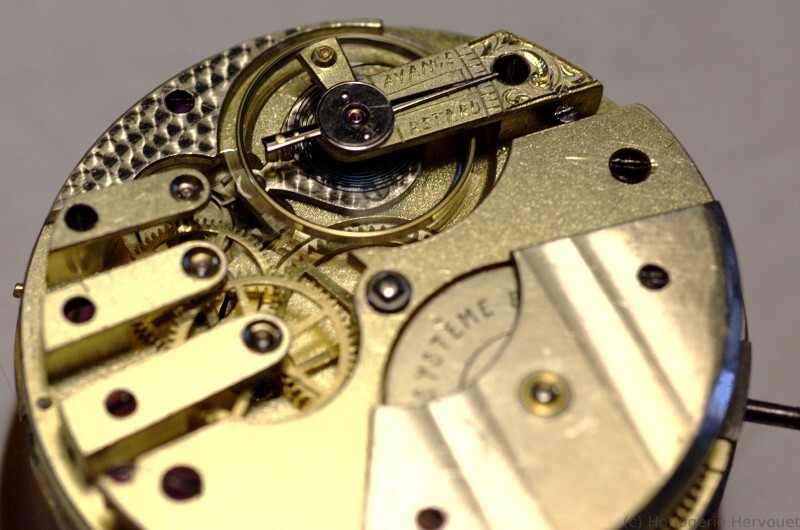 He then went on to be the second name behind the Patek-Philippe brand. 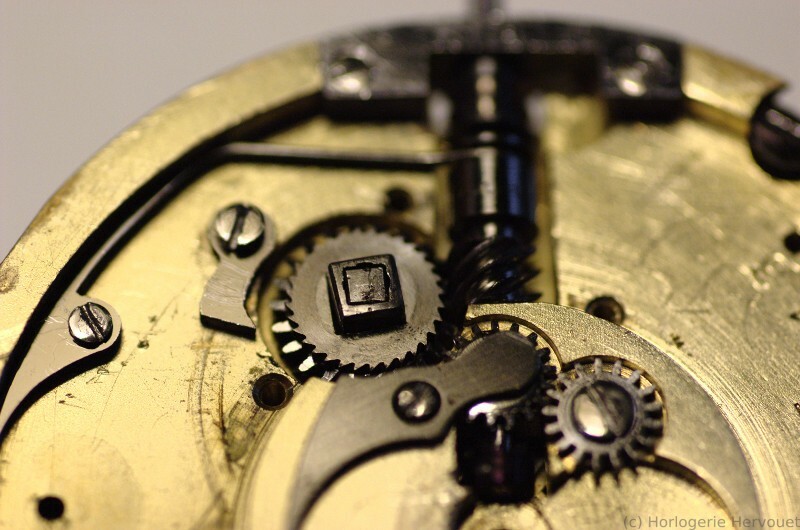 Other inventors, mostly forgotten, were also active in the 19th century: Charles Lehmann also patented a keyless system in the 1860s, obviously less successful but his system can be found in watches between 1860 and 1890. 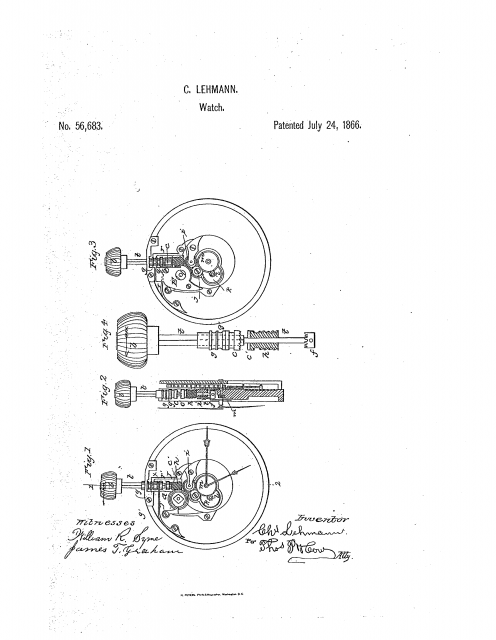 It seems that the Lehmann system was patented in France and in the USA, at least. The US patent has a nice drawing of the complex keyless works. 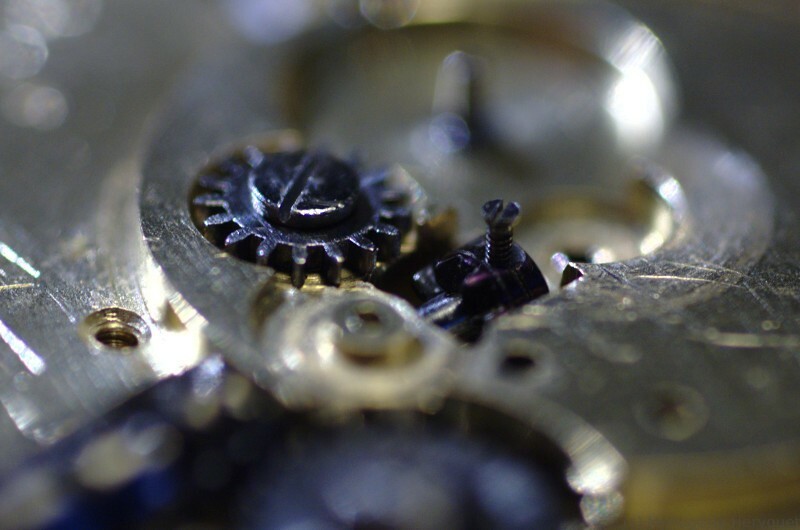 The latest version of the system is quite modern, allowing both winding and time setting with only the crown. 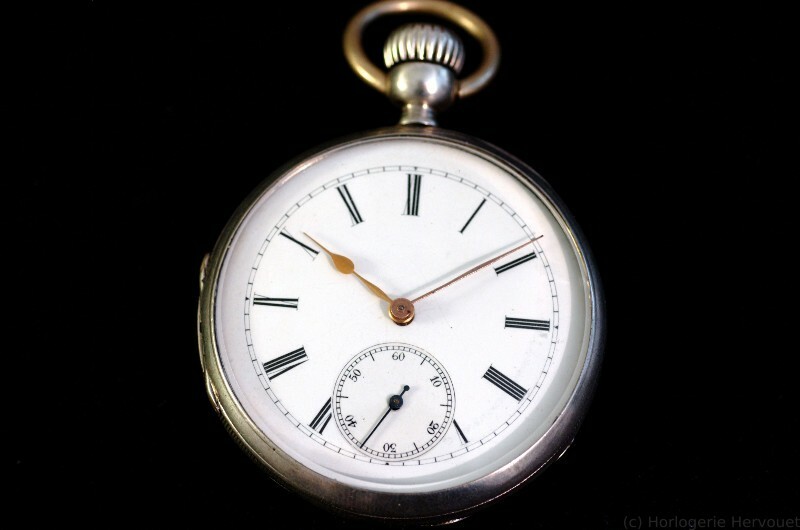 Most watches used either a key or a simple keyless system with a pusher to be depressed while setting the time. 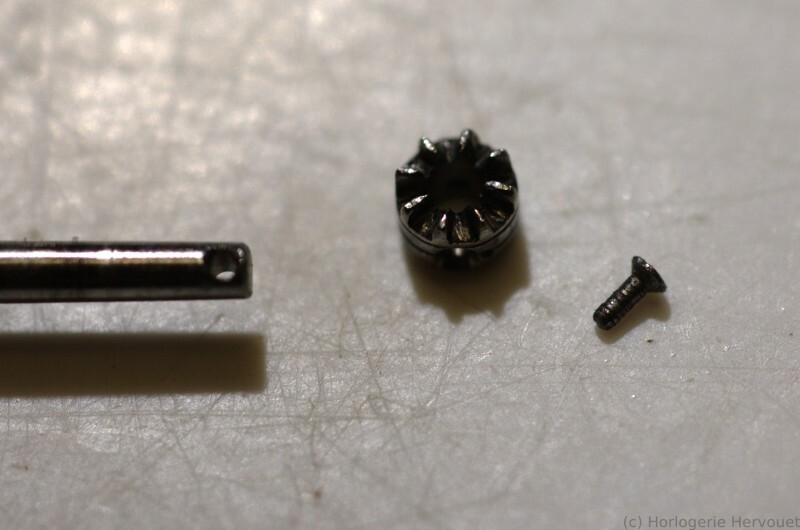 The stem assembly alone is remarkably complex, all those parts must have been very costly to produce. 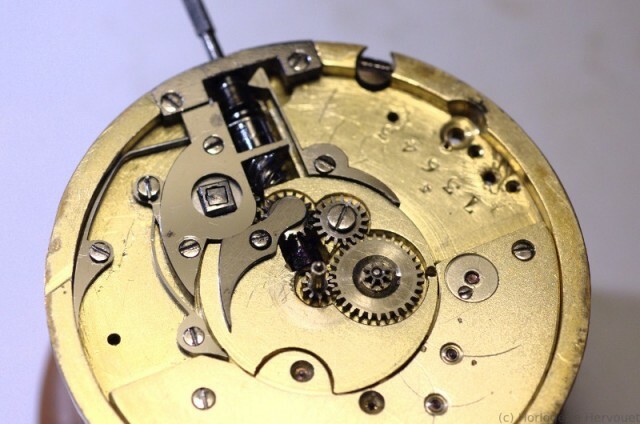 The main difference with Philippe’s system is the wormwheel. 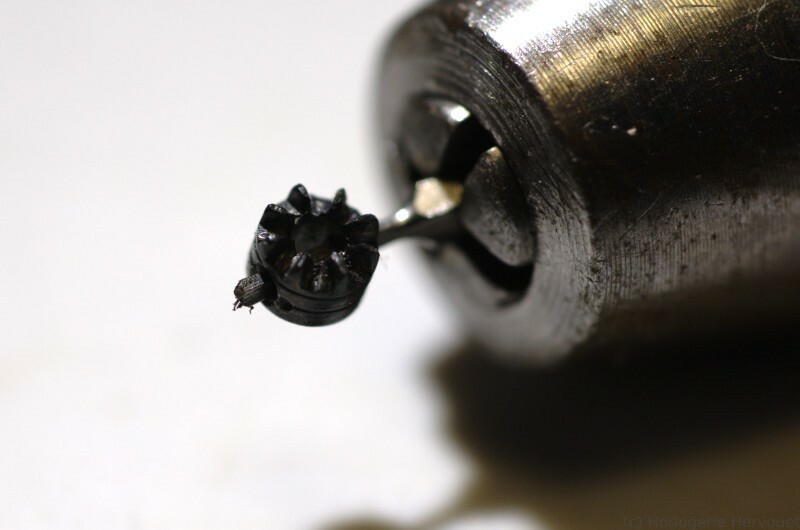 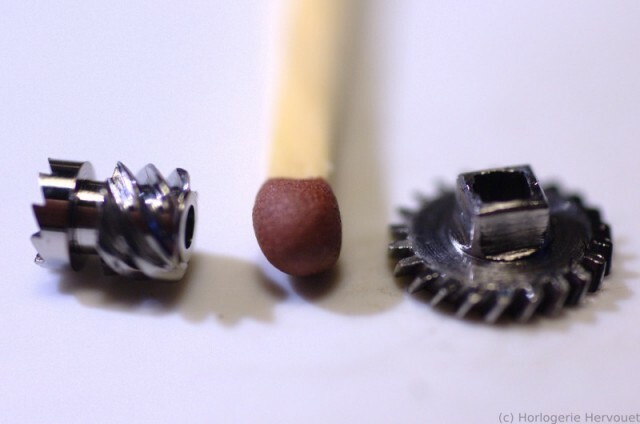 The clean way to repair this mess is the following: rethread the stem, and drill the pinion so that a slightly bigger screw can pass trough. Of course, the pinion is in tempered steel, so a blowtorch and some quenching afterwards will be involved. 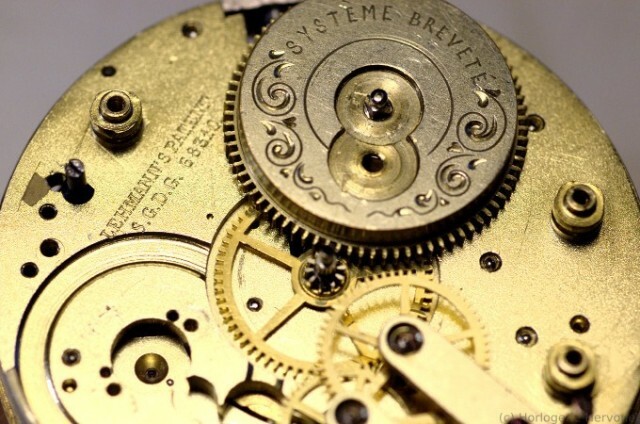 More than 130 years old, and still ticking! The dial and hands have been replaced at some point, but the silver case is still marked “Lehmann breveté SGDG”.